Each column represents one ranking. Fill in the circle in each column for the candidate you would like to rank 1st, 2nd, 3rd, etc. You can put a rank for every single candidate or only a few, it’s your choice - but its best to rank as many candidates as you prefer. 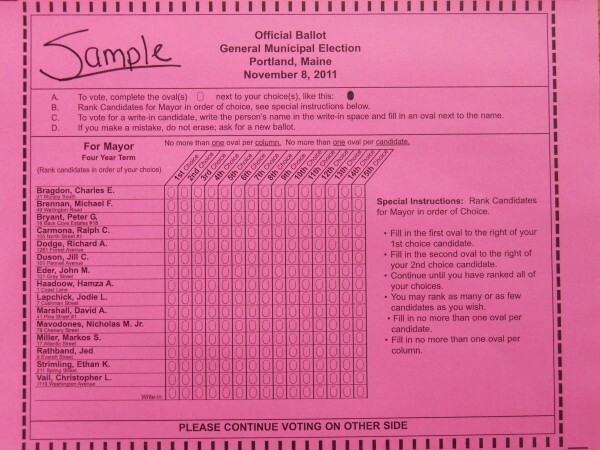 See this official sample ballot to get more of an idea on how you will vote on Election Day.